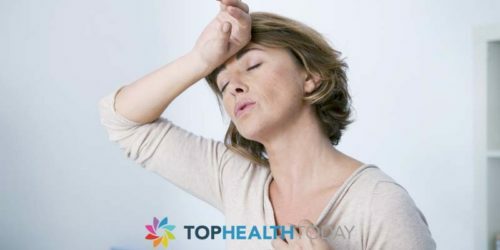 Menopause in women is when she experiences her last menstrual cycle. The female hormone estrogen is responsible for the regulation of a woman’s menstrual cycle. During her late 40’s or early 50’s the estrogen levels in her body would begin to come down. This is when menopause occurs. The average age of onset of menopause in women is around 50. But it varies from one woman to another. A few experience it pretty early and in few women it gets delayed. Very early reduction in estrogen levels and thus early menopause is equally as risky as late menopause. Medications and several other factors. Late menopause is when it starts in the late 50’s. There could be several reasons why you may start menopause late. Genetic factors- a woman might start menopause roughly around the same age that her mother got her menopause. Women with large values of BMI are prone to get late menopause. Estrogen is released from excess fat. 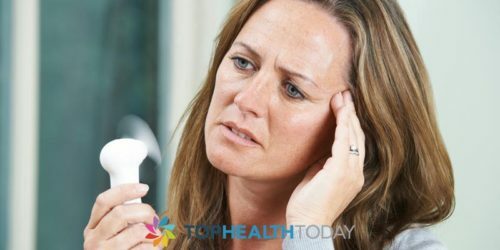 If the woman is under any sort of medication that has hormones, then menopause might get delayed. Because, menopause is primarily when the woman’s body stops production of estrogen and other hormones. Thyroid issues can also cause early or late onset of menopause. Some women might have higher estrogen levels in their body right from their younger age. Such women might get late menopause. In rare cases when a woman gets pregnant in her 50’s her menopause might start late. If a woman gets her menopause very late, it is said that her life expectancy is longer. Estrogen levels in a woman’s body can prevent cardiovascular diseases to some extent. Thus speaking generally, late menopause is beneficial. Estrogen levels in the body should go down beyond an age. Longer a woman has estrogen in her body, bigger the risks of several other health ailments. Women with longer exposure to estrogen are at higher risks of ovarian cancer. Late menopause can also put the woman at a higher risk for breast cancer. Another type of cancer that can occur in women who start menopause late is uterine cancer. On a broad perspective, the age a woman starts her first menstrual cycle would also differ and determine the age at which she gets her menopause. But if a woman in her late 50’s hasn’t still got her menopause or perimenopause symptoms, then she should get regular examinations done by her gynecologist. This can help her rule out any risk to her health caused by her estrogen levels.